After a nine-year war on the beaches of Troy between the Danaans (Greeks from the mainland) and the Trojans; Greek win the war with a trick. They built a huge wooden horse and sail away from Troy as if in defeat. They hinted that the horse was a gift for the Trojan great warriors and a votive offering for a safe journey home. In the reality, the Trojan horse contained elite of Greek warriors hidden in its wooden belly. They goal was to open Troy's main gate in order to enter the Greek army. A Trojan priest suspects Greek trick and begged not to accept the gift. He was right and his quote remained in the history: "fear the Greeks even if they are bringing gifts!" After that, we use the phrase “Greek gift" or “Greek sacrifice” in chess terminology. It is also called the classic Bishop sacrifice and the Trojan horse sacrifice. The main mechanism of this sacrifice based on 3 pieces, the Bishop, Knight and Queen. Usually the Bishop sacrificed on h7 and King should capture the piece. After that the Knight comes to g5 with check and frees the Queen diagonal a1-h5. The King must retreat and after that Queen joined the attack. In the above diagram we can see the right conditions for the attack. Black’s Queen is far away and the Knight cannot protect the Black’s monarch. 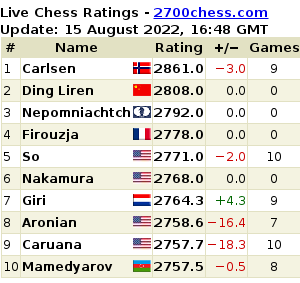 Thus, Aronian bring to light an absolutely brilliant sacrifice! Can you calculate the variations?